Help kids understand their emotions. One in seven children aged 2 to 8 has a mental, behavioral or developmental disorder. Overcoming these obstacles requires resilience. We can help kids understand their emotions and deal with the challenges that face them. 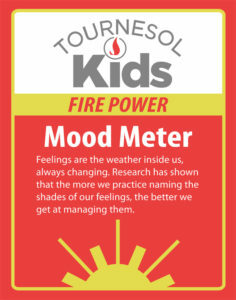 One of the activities in the Tournesol Kids Game called Mood Meter helps children develop their emotional vocabularies so they can better understand and express their own feelings.